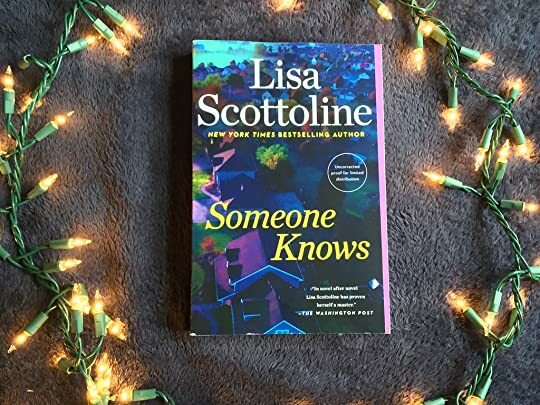 Twenty years ago, in an upscale suburb of Philadelphi From the New York Times-bestselling author comes a pulse-pounding domestic thriller about a group of friends who have been bound for twenty years by a single secret—and will now be undone by it. 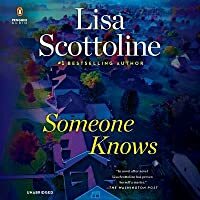 Someone Knows is an emotional exploration of friendship and family, as well as a psychological exploration of guilt and memory. Someone Knows... Whatever became of the gorgeous Luiz? 51% His name was Luiz Carvalho and he went to Penn, from a super-rich family in Rio de Janeiro. Debbie Sweeney I have given up on this author. Lisa Jaidee Hope you like it! Anthony Jackson I want to read this one next. Holly B Excited to read it now! Agnes (BeaderBubbe) Started it today..loving so far. Susan Crowe I loved it too, until..... I hope the rest turns out great for you. Let me know. 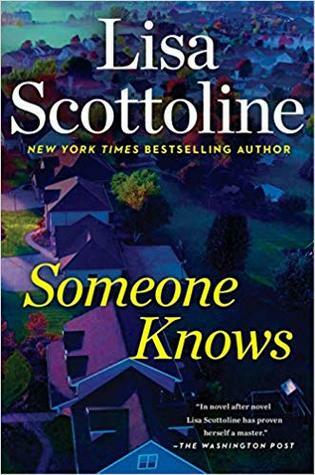 Someone Knows is a suspense/mystery/thriller. It is my first book by this author. This book has multiple 3rd person narrators. And is set in the Past (20 years earlier) and the Present. Twenty years before (the Past) Allie and her friends were 15 years old. Something really bad happened and some of them are haunted by it twenty years later. This book has so many 3rd person POVs. We have the kids (Allie, David, Sasha, Kyle and Julian). And we also have their parents. This was way too many points of Someone Knows is a suspense/mystery/thriller. It is my first book by this author. This book has so many 3rd person POVs. We have the kids (Allie, David, Sasha, Kyle and Julian). And we also have their parents. This was way too many points of view. And it made it very hard to connect with any of the narrators. Half of the story is set in the past. And IMO this was way too much. I struggled so much with the first half. I have heard about this author for years. And I expected more. I read a lot of suspense and thrillers. And this book could have been so much better. This book deals with many difficult topics including: suicide, pedophilia and mental illness. The second half in the present was a bit better. The reveals were interesting. Especially the big reveal at the end. However, this book was too long, had too many POVs, and overall was not great.